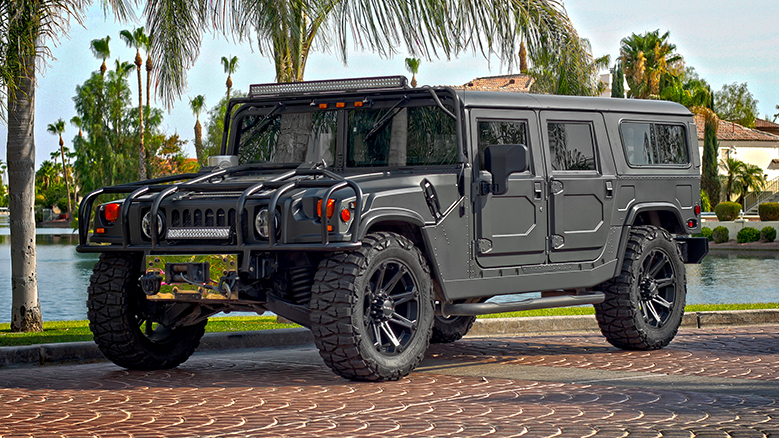 Hummer – Matte black with all the goodies! This is a truly unique rig! When we were approached to see if it was possible to wrap this thing matte black, we smiled. We knew this vehicle would lead us to new challenges. What is easily overlooked when looking at this vehicles is all the small facets and details. The rivets, the body lines – all these elements add up to one challenging wrap. The devil is in the details – we met and conquered him! We are proud to have this vehicle under our belt of accomplishments. We have advised the challenges that pertain to hummers and jeeps in the past because of their drastic body lines and exposed rivets and hinges. We are now confident in our approach and ready for the next challenge! Doors – The multi-facet design of these doors lends to creative seaming. Exposed Rivets – Hundreds of rivets needed to be covered and worked. Hardware – All handles and exposed hardware were addressed individually.